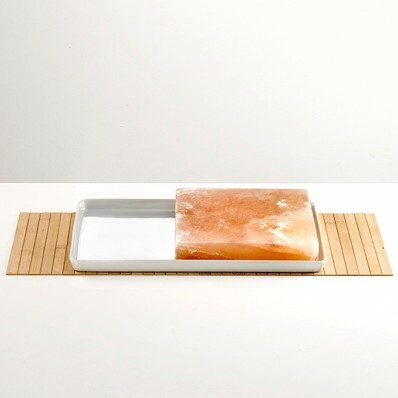 This cooking set consists of an oven-safe porcelain tray and a thick block of Himalayan salt, the purest in the world. You can heat the salt block in the oven, on a gas range or on the grill, and then bring it to the table to cook a varitey of foods from meats, seafood and rind cheeses. The food picks up the subtle taste of this unique salt, imparting a far richer flavor than normal table salt provides. 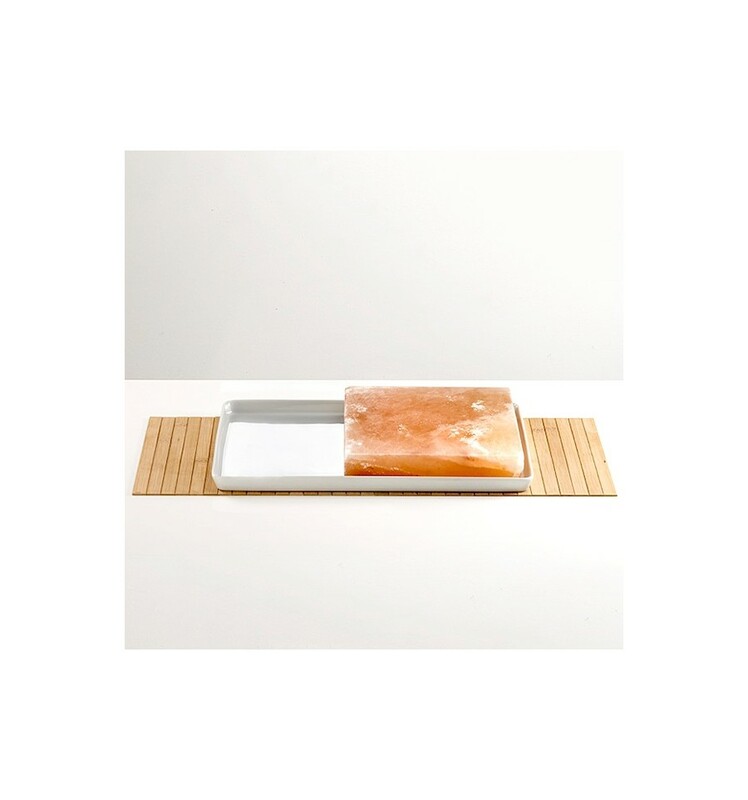 You can also put it in the freezer in order to serve raw fish or even ice cream! The ability to cook your meal at the table while chatting with friends is a great "feature" of this set. It makes a great gift for lovers of cooking and natural foods.